Note: I've been extremely busy recently, finishing my seminary education and beginning a unit of Clinical Pastoral Education. Thank you for being patient and I hope this post gets you back in the 'Notes From the Pastor's Office' mood! I graduated from United Theological Seminary on December 20th, 2013. After 3 and a half years in seminary, immeadiately following 5 years at Ball State, I was ready. One UTS official mentioned to me that it was a commencement ceremony one won't soon forget. Why won't it be soon forgotten? Heidi Baker is a faith healer who has built a powerful ministry in Mozambique. On it's face, you cannot deny the good that has come from their work. They dig wells for drinking water. They care for orphans. They have also been clinically proven to improve the ailments of those suffering from deafness and blindness. Again, it's easy to see they do good in the name of Jesus. Then, she gave the commencement address for a United Methodist seminary. Four things stood out most prominently about her presence that day at Ginghamsburg Church. First, she told a story about how she ministered to a group of Muslims who were engaged in the practice of their faith. To be clear, these people were not engaging her. They were engaged in the practice of their own faith. When she engaged with them with her faith, they got violent. In an effort to save his mother, one of Dr. Baker's sons stepped in front of her and took the beating she was about to receive. It's certainly a powerful story. However, had she let them continue in what they were peacefully doing, there might not have been a story to tell. Second, Dr. Baker insisted that one doesn't need the doctoral bars to be in ministry. Again, Dr. Baker said she didn't need the doctoral bars to be in ministry. She wasn't the only Dr. Baker at Ginghamsburg that day. 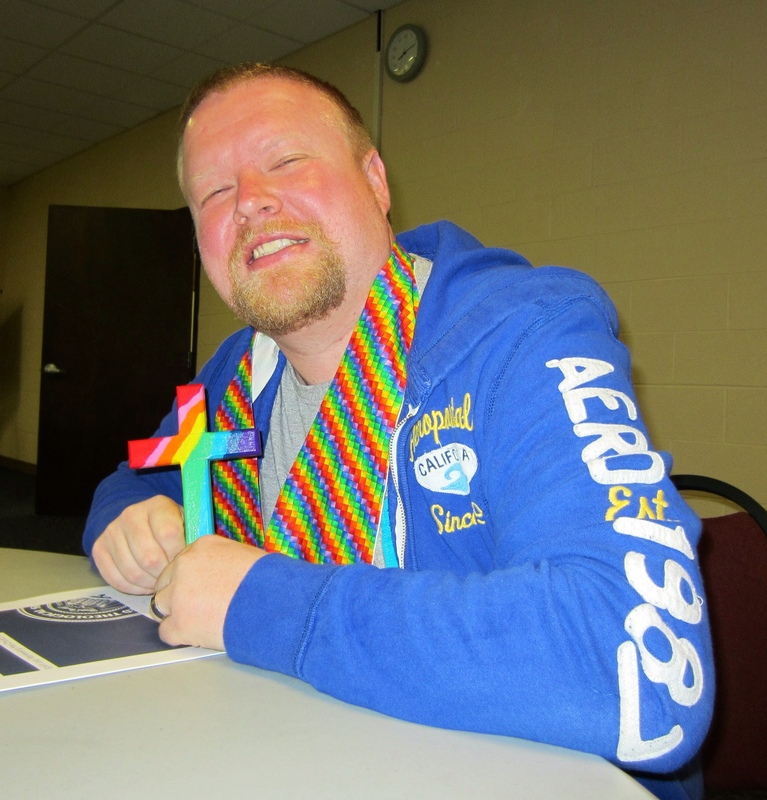 Her husband – Rolland – was graduating with his D.Min. At a ceremony meant to signify and celebrate the academic accomplishments of those who have been called to some type of ministry, Dr. Baker poo-pooed the idea. It's small, but it stood out for me. Third, Dr. Baker – on three seperate occasions – spoke in tongues. I have mixed feelings about speaking in tongues. I cannot deny that God might choose to work in this fashion, but I believe it happens authentically much less often than many would believe. On the day, I was mainly focused on myself and my family – and the fact that there were so many of them there to support me. However, when a commencement speaker begins to speak in tongues, it creates a moment to remember. The reason I remain skeptical of “tongues” is that I've never heard someone speaking in tongues, and been able to understand them. There was no interpretation for those moments where she engaged this “gift of the Spirit.” Not for her, or others in the auidence who also spoke in tongues. The other odd thing was that the auidence seemed to be full of people who were fans (I don't know whether to call them fans or followers, 'cause both seem inappropriate) who were there just to hear her. There was also much commotion in the narthex, after the service, where many were trying to get their picture taken with Dr. Baker. I'm actually not even sure I'm ascribing a value judgement to these events, as much as I am reporting what happened. Lastly, Dr. Baker shared a story about a baby that was brought back to life. In the interest of full disclosure, I've heard her and others tell stories about how her ministry has brought her into contact with people who have been brought back to life. Additionally, after having lost a son myself, this type of thing always gets my antennae working at full strength. As she told the story, a child had died and a woman took the child in her arms – where she then sat with that dead child for three days. After sitting vigil with the child, the child was brought back to life. As a story, it was moving. If it is true, it's even more moving – and I cannot deny God can work in this way. However, with stories like this, you get to thinking. Those familiar with what happens to the human body, even just shortly after death, understand that stories like this are difficult to wrap one's head around. The human body is a relatively fragile thing, and once life leaves it – for no matter how long – evidence of the decomposition process appear shortly thereafter. Was the child not completely dead? Was it unusually cold in that part of sub-Saharan Africa? That's not even the biggest part of my reasoning for bringing up this particular part of Dr. Baker's commencement address. My wife sat in the hospital with our son for days and days at a time. There was never a mother who loved their child more than my wife. She prayed and prayed…then prayed more. There were people from all over the world praying for our son. A child could not have been more loved and cared for – physically or spiritually – than our son. The implication that is given when someone shares an incredible story like this is that there just wasn't enough Jesus in our little equation to help our son to defeat death. God must not love us enough. Somehow, we were spiritually deficient enough that God would not grant us the life of our son – no matter how badly we wanted it. I do not believe this way. The God I've come to know doesn't distribute his love on a “biggest come, biggest served” basis. I believe the challenge of our faith is trying to live and understand life in the midst of the most trying of our experiences. The problem is that there are plenty of people who do believe this way. They believe this way and are spiritually brutalized by thoughts that they might not have prayed hard enough or God did not love them enough to grant them whatever it is they were desiring. Life. Fame. Wealth. Those who have experienced the other side of this type of faith would call it spiritual abuse, and I would have a hard time disagreeing with them. In my seminary education, a very heavy focus was placed on church renewal and how the church can exist in a world that is largely leaving Christianity behind. This type of faith behavior – for better or worse – was seldom identified as part of the problem. You can read more about spiritual brutality in my friend's – Joel Watts – book. Available here, by the way. I waited this long to share my thoughts about this so I might be evenhanded and fair. I know very faithful and well-meaning people who believe this way and my desire is not to upset or offend them. Additionally, I'm not even really complaining that UTS had her speak. If I would defend Columbia University's right to host the Iranian President, I certainly wouldn't deny UTS's right to host her. Essentially, I had some thoughts about the proceedings, and I wanted to share them. For reasons I won't presently divulge, this may be one of my last posts on the relationship between Kenneth Copeland Ministries and United Theological Seminary. I guess I must admit to not knowing the whole story of the relationship between UTS and KCM. I don't know if I've admitted that before, but I'm doing it now. I am sure I've expressed a desire to know more about it. In fact, most UTS alumni I know have also expressed concern – to varying and elevated degrees. I recently heard a concern expressed by a UTS faculty member. Essentially, those of us who were expressing concern didn't have the whole story. Additionally, the argument was made that just because someone is invited to speak, doesn't mean the school or faculty necessarily endorses said person or their beliefs. Think Ahmadinejad being invited to speak at Columbia University. I will gladly grant that. In fact, I want to state that I will make retractions of any material I have misreported – since I may not have all the facts. *UTS began it's academic partnership with KCM in 2010. *UTS hosted Kenneth Copeland to speak in Dayton, OH. *A UTS official claimed his visit generated $20,000 for the school. *As recently as 2009, KCM had been under investigation for financial practices – and we all know that's not the first time that's happened. Mitigating these circumsances is the fact that one UTS faculty member explained to me that the relationship between UTS and KCM was a strictly an academic one. KCM has an extenxive digital ministry, and UTS was going to take advantage of the opportunity to have their students learn from some of the best. However, the above list of known facts is still disconcerting. It is fine to say that Kenneth Copeland doesn't represent the views of all faculty and staff, but the partnership with his organization appears to be an endorsement of them. Copeland's actual speaking engagement in Dayton is just more fodder for those experssing concerns. Here's my question: Why doesn't UTS address the concerns it knows it's students and alumni have? I've seen press releases from UTS before, and their subject matter isn't as important as this appears to be. They could use the tools at their disposal and record a video message, addressing concerns and answering questions – telling us all why we shouldn't be so concerned about this relationship. Heck, I'll even come to interview anyone who would like to help set the record straight. I like to stir the pot, but I also pride myself on being fair. Well, that's it for now – when it comes to UTS and KCM, at least. My previous Copeland posts are here and here. Did @UnitedSeminary Read This Before They Partnered With @CopelandNetwork? I must preface this post with an explanation of my official position on United Theological Seminary. I love this school. I've loved nearly every class I've taken. I've loved nearly every professor I've had. Though I am a non-traditional student, I've loved nearly every moment of student life at the school. The problem I have – which I've covered before – is with the school's institutional direction. 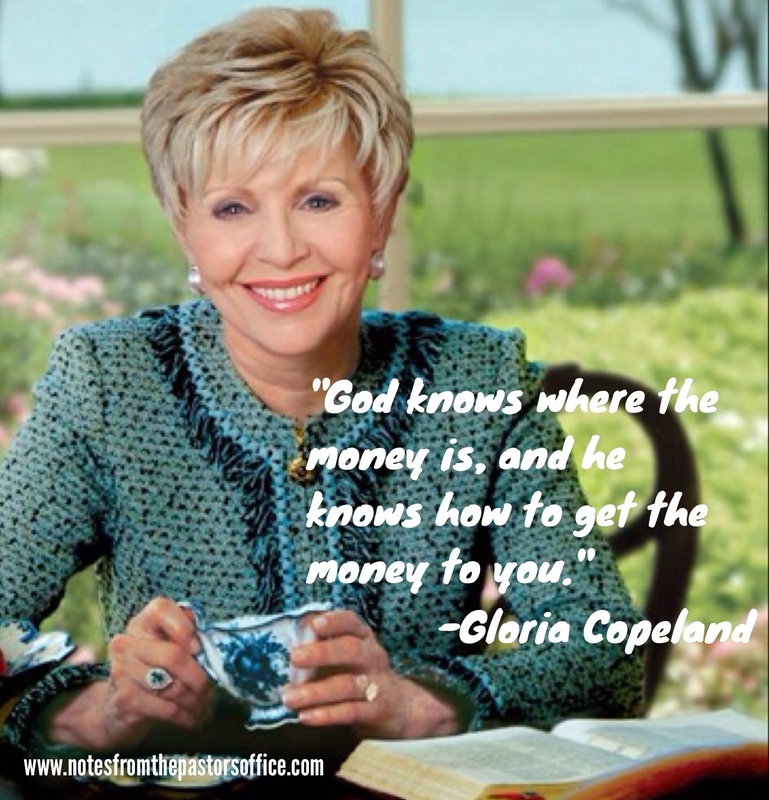 My concerns began when I learned that UTS would be partnering with Kenneth Copeland. Yes, that Kenneth Copeland. The same Kenneth Copeland who John Piper – a man with whom I share copious disagreements – has called a “founder” of the prosperity gospel. When I found out that Copeland would be partnering with UTS's D.Min program, I became concerned. Off the record, I was told by a faculty member that the partnership was more about taking advantage of KCM's digital ministries and the learnings that could happen as a result. However, it wasn't long before the school was touting a preaching visit by the televangelist – and expressing amazement at how he helped the school raise $20,000 during his visit. So far, I'm sure you can see how I can be concerned that a United Methodist seminary is partnering with someone so theologically askew from where they claim to be. However, my overriding question remains unanswered. How could they have made such a shortsighted decision in the first place? News about who Copeland is and what his “ministry” is all about is not hard to come by. 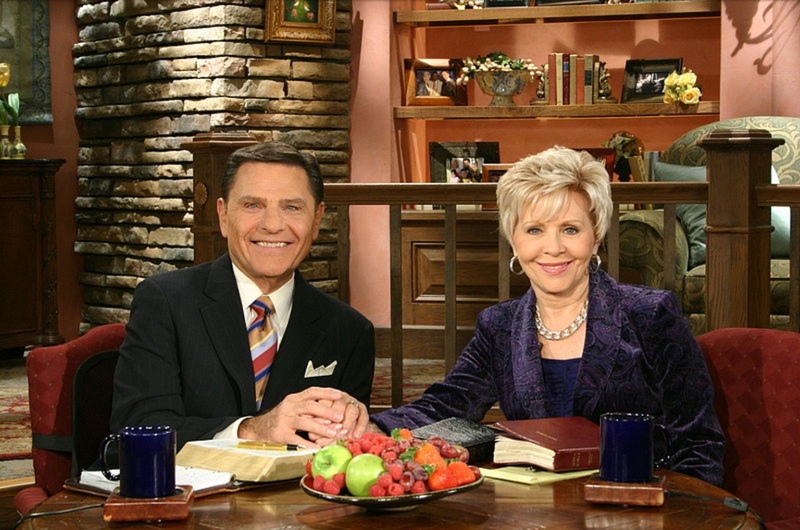 In fact, I found this article from the New York Times which contains the quote from Gloria Copeland (featured above) and information on the latest investigation in which he and his acolytes find themselves embroiled. I couldn't find information on how that investigation went, but the fact that this wasn't his first run-in with the Feds should have been a clue to proceed with caution – if at all. This article dates to '09 – before the partnership officially began – so there is no reason they shouldn't have known this information. Frankly, all you would have needed to do was watch his show for any length of time to decide that a United Methodist seminary shouldn't be partnering – for any reason – with an organization that believes as they do. Also, I find it troubling that a United official thought a major selling point of Copeland's partnership with the school was that he was able to raise such a large amount of money for the school. If such a fuss is raised about Claremont's adherence to orthodoxy, why aren't more people paying attention to orthodoxy at United? The problem – I believe – is that United is experiencing so much commercial success at this time, that no one really cares about how they are getting things done. As I said, I love being a student at United, and I wouldn't trade it – honestly. I just wonder when they might make their next Copeland-esque move? I wish this wasn't the topic for my first post in a while, but here it goes. 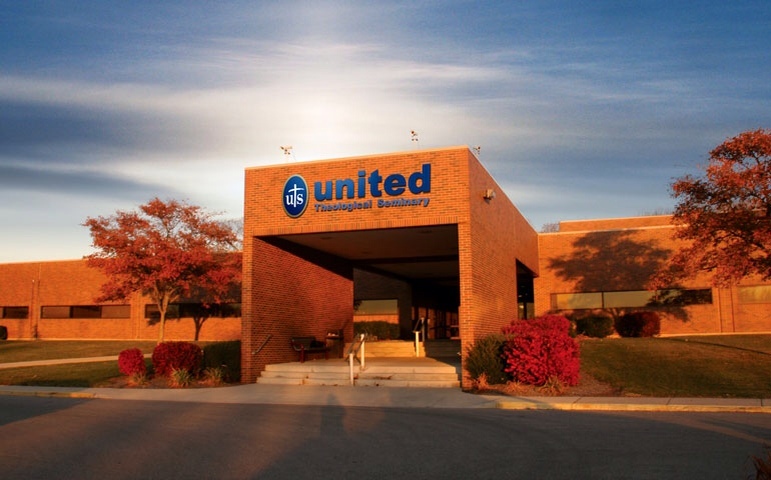 I also haven't posted about United Theological Seminary for a while, but I can't help this one. I haven't ever heard an official from United speak about Kenneth Copeland (I speak about him here) and their recent turn towards conservatism – until this morning. I overheard a conversation held in the common area of UTS this morning. I can't recall the entire conversation, but here are the highlights. *During his D.Min visit last year, Kenneth Copeland helped raise $20,000 for the school. *This official was unconcerned with the view that everyone thinks UTS is taking a turn towards conservatism. I share this with you because it is the first time I've heard a UTS official speak candidly about things like Copeland and the school's institutional changes over the last few years. Admittedly, I do not know in what context these comments were being made, but I heard them – and decided to report them to you. ‘We’re No. 4!’ @UnitedSeminary Takes a Victory Lap? UTS almost-graduate Josh Blanchard with the “Notes” cross.